According to the artist Bob and Roberta Smith leaving the EU will have a devastating impact on our artists, museums and galleries, with Brexit meaning the end of a period of British culture born out of the ashes of the Second World War that was open, intellectually curious and essentially generous. As the UK Government releases Technical Notices on a ‘No Deal Brexit’ and we approach the date of the People’s Vote March for the Future in Central London on 20 October, our panelists will explore the possible impact of Brexit on the cultural sector and ask how we should respond as artists and stakeholders working within the arts. The panel will also discuss the changing funding landscape and our shifting relationship with Europe. and Uta Kogelsberger, a London based artist working with photography, video installation and sound. Uta’s new work ‘Uncertain Subjects: Part II’ being shown as part of the 2018 Brighton Photo Biennial gives a voice to those who feel they are not being heard in the current Brexit negotiations. An ‘in-conversation’ between Simon Roberts and David Prior, Head of Public Services and Outreach at the Parliamentary Archives, chaired by curator, Rachel Fleming-Mulford. Using his large-scale artwork for the Victoria Embankment, commissioned by Tideway, as a starting point, Simon Roberts will discuss his photography and his approach to the creation of the artwork, which references the rich and varied history of that section of the Victoria Embankment and the River Thames. Roberts took photographs at the site but also researched objects and images from a wide variety of archives and collections in London to create the work. “The design is created to reflect the literal and metaphorical layering of the landscape, in which objects from the past and present are juxtaposed to evoke new meanings. The hoarding represents an aesthetic excavation of the area, so that diverse elements, both manmade and natural, can co-exist in new ways. Simon is joined by David Prior, who is Head of Public Services and Outreach at the Parliamentary Archives. The Parliamentary Archives holds the records of both Houses of Parliament. The records, which date from 1497, reflect the ways in which Parliament has affected the lives of individuals and communities and the processes by which people have been able to influence the work of Parliament. David’s responsibilities include the curation and management of exhibitions and displays, the development of community outreach activities and the provision of facilities for public access to the Archives. He will bring his fascinating perspective as a heritage expert to the discussion. Part of Totally Thames Festival 2018 that runs from 1-30 September. 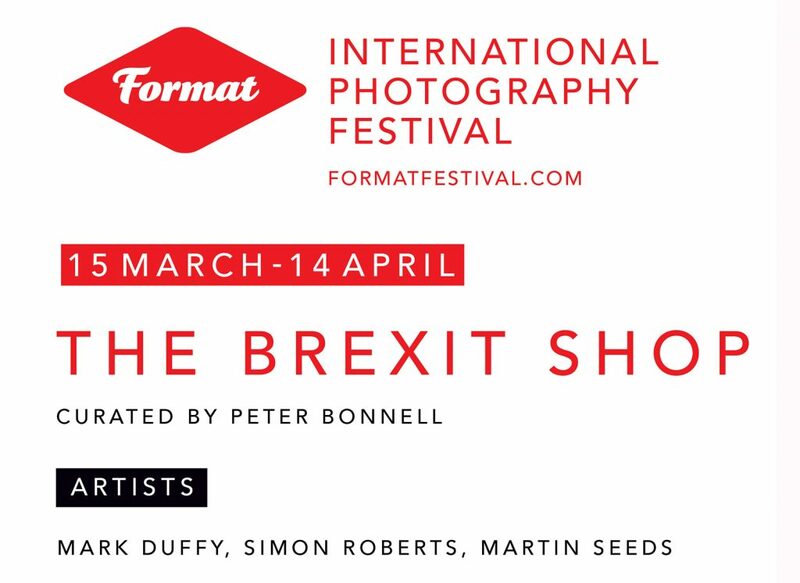 I will be discussing my most recent project, Merrie Albion, in Bristol at Martin Parr’s new foundation. Copies of the book will also be available. I will be one of the speakers at this year’s Street London festival in East London. Street London returns in August this year with a new theme. We want to explore the ‘borders’ of street photography: where street photography meets photojournalism, art photography and portraiture. Come join us for talks, shooting, panel discussions, drinks and much more. As part of the exhibition The Great British Seaside at the National Maritime Museum, I will be in conversation with fellow exhibitors, Martin Parr and David Hurn to discuss the role of photography in documenting British culture and their approaches to capturing the seaside. Viewing of the exhibition followed by a panel discussion and Q&A led by artist and writer Sunil Shah. I will be doing an ‘In Conversation’ with Susanna Brown, Curator of Photography from the V&A, at this year’s Photo London, where we’ll be discussing my latest work, Merrie Albion. David Hurn and Simon Roberts, two leading British photographers from two different generations, will be in conversation at The Photographers’ Gallery covering a wide range of topics such as education, forging a career in photography, authoring major bodies of work, and their different approaches on documenting their home countries of Wales and England respectively. Hurn and Roberts exhibit together at the National Maritime Museum in The Great British Seaside alongside photographs by Tony Ray-Jones and Martin Parr, running 23 March to 30 September 2018.